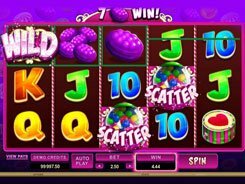 Developed by Microgaming, Pollen Nation is a bee-themed slot with a cartoon-styled design and funny symbols that brighten up the reels. 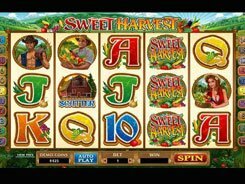 The slot has a standard 5x3 layout with 25 paylines, and its symbols include honeycombs, honey jars, some honey treats, postman bees, guard bees, doctor bees and other themed icons. 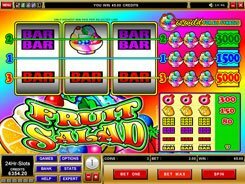 A total bet per spin varies from $0.01 to $125, and playing at max you can win the slot’s jackpot of $30,000. Pollen Nation features two scatters, a wild symbol and a bonus game. 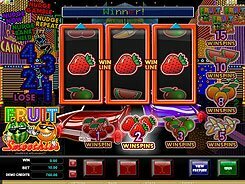 A wild depicted by the Bee Queen substitutes for other icons and pays out the mentioned top jackpot. In the Babee Bonus feature activated by 3+ baby bee symbols you will be presented with a honeycomb. Your task is to pick honeycomb cells getting cash prizes until you pick the Stop cell that ends the bonus game. This feature can bring you up to 32,250 coins if you are lucky enough. 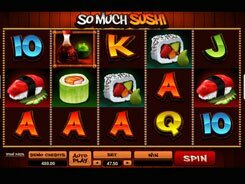 The slot has no free spins, but a massive jackpot that can fall into your hands and a highly-rewarding bonus feature make Pollen Nation a very lucrative slot to suit pros and beginners alike.